Thank you to everyone who attended the Closing Assembly of the Second General Synod of the Archdiocese of Miami on Saturday, October 26th. It was a truly glorious day for our local church! 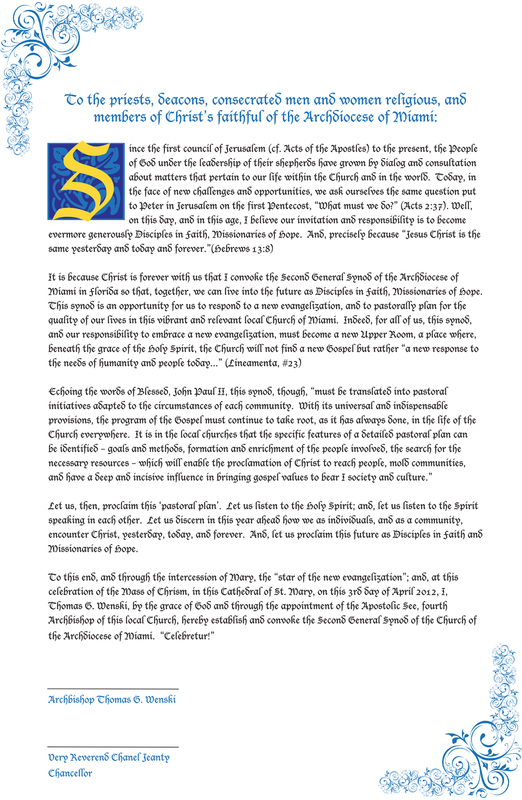 At the Closing Assembly, the new Strategic Pastoral Plan for the Archdiocese was distributed. In addition, the reports of the various Synod Focus Teams were also handed out. Synod Photo Albums - Click here to view photo album.